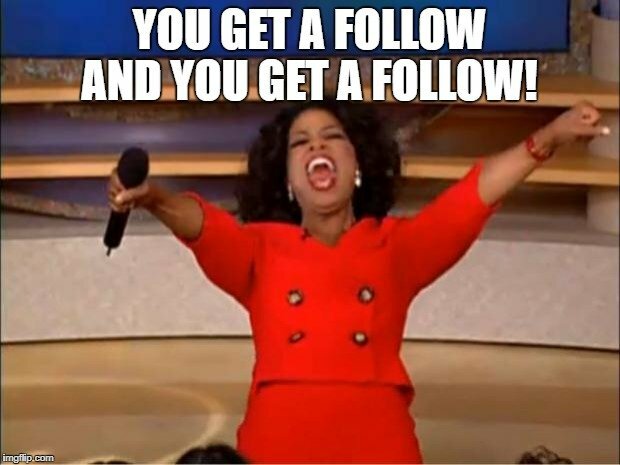 We seem to be getting some traction with #vincentb phenomenon so i thought while we upvote our posts we might as well get a follow train going so we can keep this up! Follow me, i follow you. and follow eachother in the comments! LETS KEEP THE MEMES ROLLINGG! followed for the memes really xD cheers buddy! ozoo!! Thank you, your Post. I have followed and up-voted your post. I think this is a great idea! We all know that MEMEs are the true currency of the internet. Choo choo! all aboard the follow train. done and done! There you go! Welcome aboard. Upvoted. Thank you for sharing. Vincent B community. Follow and upvote me Cryptoryno33.